To win new business you need to tell the right stories to the right people -- stories such as what your organisation is best at, and how happy your customers are. The right stories can keep your own people happy, too. 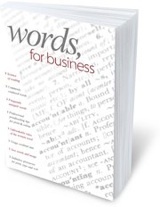 Our booklet, Words for Business, will help your business writing. Click here to receive a copy by email.